This Demonstration shows how you can dynamically switch the interpretation of controls. 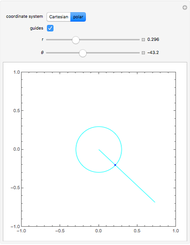 This is illustrated with two Manipulator controls for the coordinates of a 2D point. 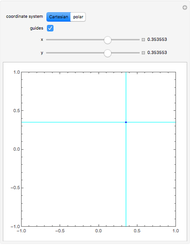 These control the Cartesian , coordinates, or the polar , coordinates, depending on the "coordinate system" setter bar. When changing coordinate systems, the control variables are adjusted automatically to preserve the semantics, that is, the point stays in the same position and the slider positions change accordingly. The main ingredient is a hidden control variable (i.e. 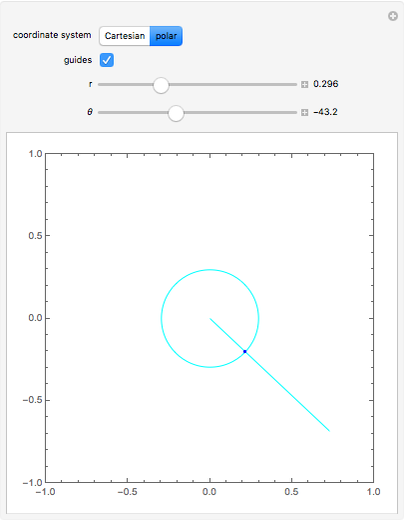 without a visible controller) to store the previous choice of coordinate system. 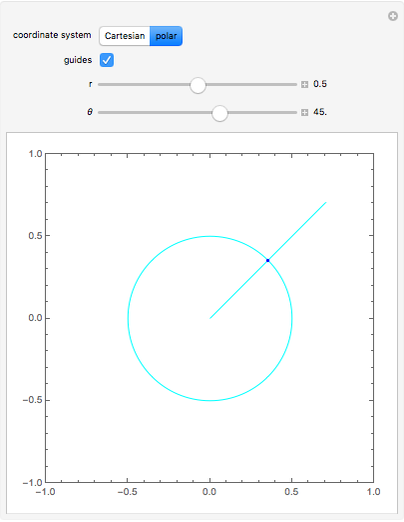 Whenever you change the coordinate system, the coordinate variables are converted appropriately. 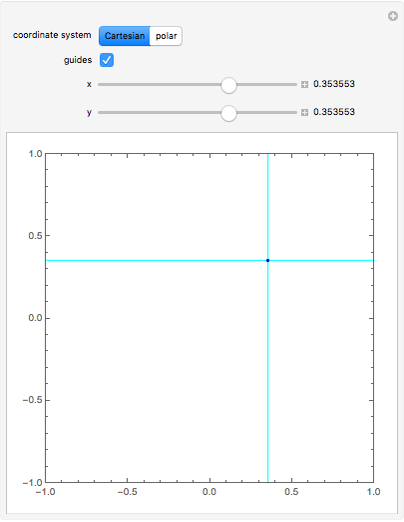 The snapshots show what happens when switching between Cartesian and polar coordinates. The point remains at the same position, but the control labels and positions are adjusted appropriately. Tom Verhoeff "Switching between Overloaded Sliders"